Frequency converters e.g. in satellite transponders need to be characterized not only in terms of amplitude transmission but also in terms of phase transmission or group delay, especially with the transition to digital modulation schemes. They often do not provide access to the internal local oscillators This application note describes a method using the R&S ZVA to measure group delay of mixers and frequency converters with an embedded local oscillator very accurately. 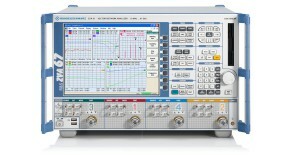 The key aspect of this new technique is, that the network analyzer applies a 2-tone signal to the frequency converter. 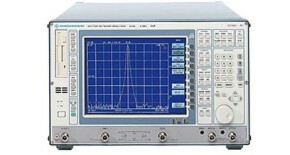 By measuring the phase differences between the two signals at the input and at the output, it calculates group delay and relative phase between output and input.